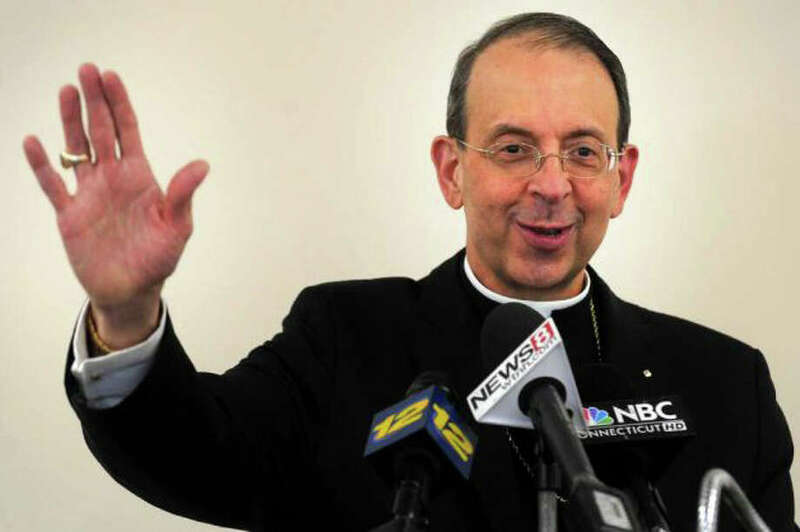 The process being used by the Roman Catholic Church to choose a successor to Bishop William Lori in the Diocese of Bridgeport is being criticized by a Fairfield University professor. "This is not just an ordinary diocese," said Paul Lakeland, the Aloysius P. Kelley S.J. professor of religious studies at the Jesuit university. "You have a diocese that's quite dramatically divided between the wealthy and those in poverty." William E. Lori, who had been bishop since 2000, was elevated to archbishop of Baltimore on May 16. On May 22 it was announced by church officials that Monsignor Jerald A. Doyle will administer the diocese until a new bishop is appointed. Lakeland was quick to point out that the Bridgeport diocese has sent other bishops to high positions -- Lawrence Shehan and Edward Egan both were elevated to cardinal. "It's a conduit to high ecclesiastical office, so they're unlikely to send someone here who they don't imagine will have at least a good chance of becoming a major figure in the American church," he said. "But the problem with that is you won't necessarily get some one who's committed to the diocese." A month ago, Lakeland hosted a forum in which he invited Catholics -- the laity and clergy -- to discuss the qualities that would be desirable in the next bishop. But, according to Lakeland, attendance at "Choosing a Bishop: A Forum for the People and Clergy of the Diocese of Bridgeport" was discouraged by Doyle . "Monsignor Doyle informed his clergy that they were not to participate, nor to encourage their parishioners to do so," Lakeland said in his May 31 letter to Apostolic Nuncio Carlo Maria Viganò, who is the Vatican's ambassador to the United States. About 65 Catholics attended the meeting, none of them priests. One priest later sent a letter to Lakeland saying that he and other priests didn't attend because they feared disciplinary action. "What people want is someone who wants to be here, not someone who's interested in being somewhere else," he said. Lakeland also wrote Doyle in a June 5 letter that the diocese rejection of the event was "mistaken and disappointing." Aside from discussing the selection process, the participants in the May forum also agreed that the bishop's residence should be in Bridgeport and not in suburban Trumbull, where it is now. "We tried very hard not to make the meeting a post-mortem on the Lori tenure," Lakeland said. "The people who came to this meeting were largely from the Fairfield-Westport area. "They're keenly aware of the poverty in Bridgeport and the feeling was that the bishop of Bridgeport ought to live in Bridgeport." Lakeland does have his allies. "We would like to see a more broad consultation with the laity on the selection process," said Jack Doyle of the group Voice of the Faithful, which was formed in 2002 in Boston to prod the church on this and other issues, such as allowing priests to marry, supporting victims of sexual abuse by priests, increasing the involvement of women and recognizing priests with "integrity." And Joseph F. O'Callaghan, professor emeritus of history at Fordham University said that there's no good reason as to why there can't be more public input into bishop selection. "In the 20th century, the Code of Canon Law declared that the pope appoints the bishops, so we became accustomed to him naming the bishops," O'Callaghan said, "and it doesn't involve the people in any significant way. But there are a lot of theologians who are saying that the church is in a bad way because of this process." He's author of the 2007 book: "Electing Our Bishops: How the Catholic Church Should Choose Its Leaders." Another ally is Janet Ruffing, a Sister of Mercy nun who teaches at the Yale Divinity School. "Paul is trying to make happen what should have happened by now," she said. "There's no transparency in these appointments, and there should be." Proponents of an open bishop selection process point to the fact that in the first five centuries of the Catholic church, bishops were selected by the vote of the faithful. Lori was the fourth Bridgeport bishop. His predecessors were Edward Egan, 1988-2000; Walter William Curtis, 1961-1988, and Lawrence Shehan, 1953-1961.